Professor Jun Yang received his Ph.D. degree from Muenster University, Germany in 1995 and completed his postdoctoral work in Graz University of Technology, Austria in 1997. Then, he worked in Mie University, Japan, as a research fellow and in Shanghai Institute of Microsystems and Information Technology, CAS as a senior fellow. Since 2003 he has been professor in Dept. of Chemical Engineering, Shanghai Jiao Tong University. His research interests are in rechargeable lithium (or magnesium, sodium) batteries and electroactive materials. 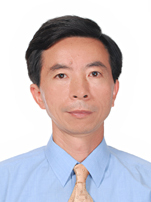 In particular, he focuses his researches on Li-alloy anode materials for Li-ion batteries, rechargeable Li-S battery and key materials for rechargeable Mg battery. More than 160 papers have been published with a total SCI citation of 8000 and H-index 50.